KnowledgeHut had organized the course in a very good way. I would certainly recommend everyone to go through this course as the training was well-conducted. San Francisco is the commercial, financial and the cultural centre of Northern California. The city has a diversified economy and the major employment sectors in this city range from financial services, information technology and tourism. There are a lot of employment opportunities for those who have the desired training and certification in San Francisco. Knowledgehut offers the CSD certification in San Francisco classroom programme which is important for one’s career progression. 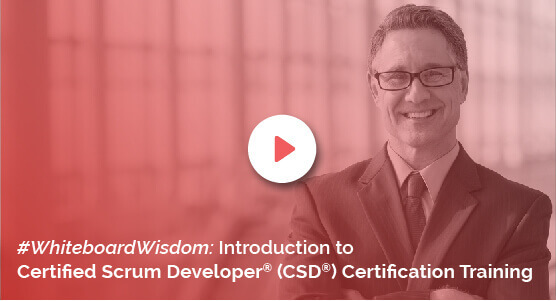 The CSD training in San Francisco trains individuals to be scrum developers who are capable of demonstrating a combination of technical skills and formal training in their understanding of the scrum principles. The Certified Scrum Developer certification in San Francisco offers specialised knowledge in agile engineering skills. The Certified Scrum Developer training in San Francisco is suited for software developers who need to build software in the scrum environment. The Knowledgehut Academy offers the CSD course in San Francisco and the coaching at the Institute exposes the attendees to the tools and techniques that are essential to be applied to build a good software in the incremental fashion as desired by scrum. The Certified Scrum Developer certification in San Francisco teaches the foundation of scrum and its scope. The lectures and practice sessions also teach the basics of how to demonstrate the core knowledge of scrum. The cost to enrol at the academy is reasonable and the material is so well taught by the trainer that it makes you marketable in the industry. In order to get a thorough understanding of the course content, one needs to register for a demo class at Knowledgehut. The fee for the classroom training is priced reasonably and learning through a tutor makes it much more beneficial than through an e-learning programme.